Every now and then we hear about child prodigies who leave us stunned with their extraordinary abilities. 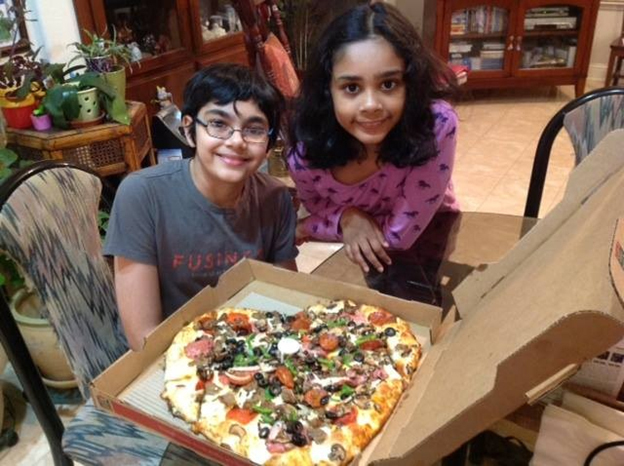 When we read about kids like Priyanshi Somani (she is a human calculator), Michael Kevin Kearney (he graduated at the age of 10) and Cleopatra Stratan (an established singer at the age of 3) we can do nothing but simply amaze at their achievements. These kids are geniuses in the true sense of the word. What they are able to achieve at such a young age most of us would take an entire life time to achieve. What were you were doing at the age of 9-10? Probably not much, but these kids show early signs their extraordinary abilities even before they reach the age of 10. 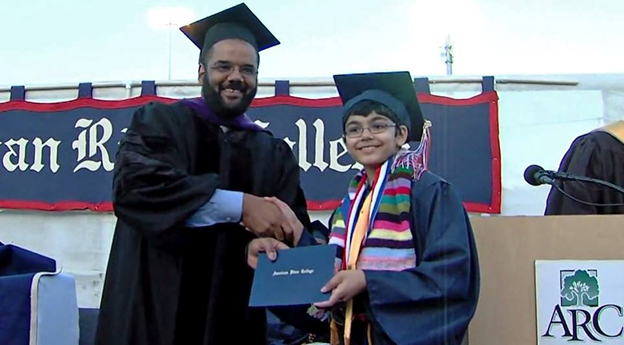 Tanishq Abraham is one such Indian-American, who is a high school graduate and is all of just 13 years. Apart from being a wonder kid, he is also a TedX and a NASA speaker. What did you dream of when you were 10? This whizz kid wants to hold the reins of America by becoming the President of the USA someday in the future. Here are 10 things about Tanishq Abraham that will leave you wanting to strive for more in life. The Math’s course offered by the Stanford University’s ‘Education Program for Gifted Youth’ (EPGY) was completed by him in just 6 months. He joined the ‘American River College, Sacramento when he was all of just 7. 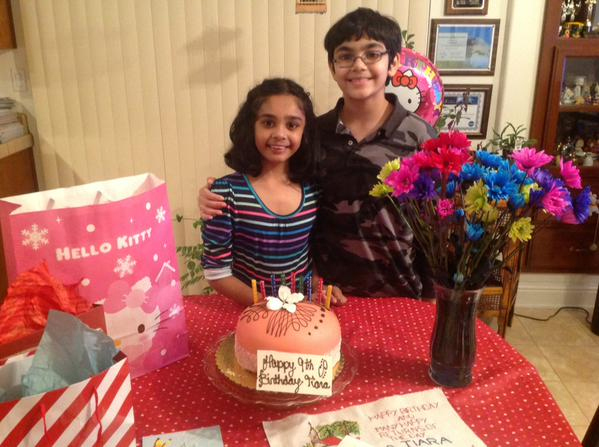 Tanishq Abraham enrolled in the ‘American River College’ in Sacramento, California when he was all of 7. He joined the courses for Geology and Astronomy and scored nothing less than a perfect ‘A’. 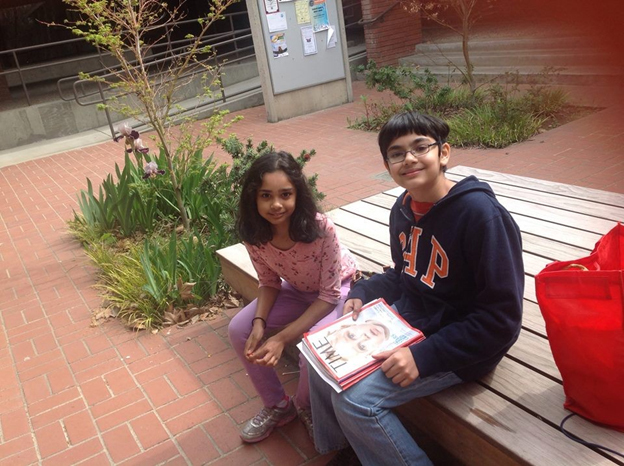 When asked how he felt during his first day in college, he said, “Even the first time I came to college class, I wasn’t really nervous.” Tanishq was obviously the youngest in his class but that did not deter his intention to be the best at his work. This is what the genius said when he was questioned about his classmates, “Some of them were intimidated and a lot of others were really happy that there’s a kid in their class”. At the age of nine he became the founding Vice-President of his Astronomy club at college. He also has a certificate for an online chemistry course from the ‘University of California’. While this whizz-kid was attending college side by side he was also got a certificate from the ‘University of California’ wherein he completed an online course in chemistry. This wonder kid was home schooled till the age of 7 and passed out of high school in 2014 when he was all of just 10. At the age of eight, he became a member of the prestigious Liberal Arts and Science institution Phi Theta Kappa. 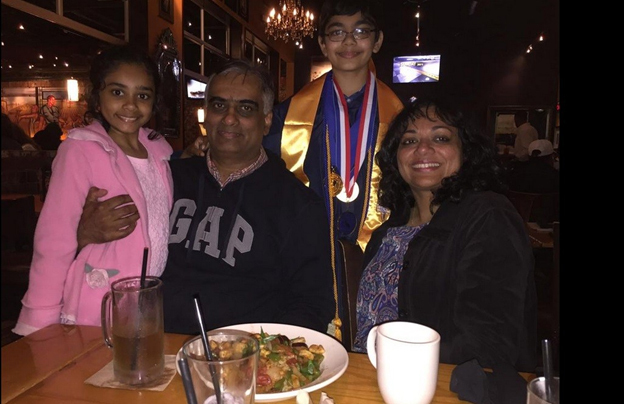 Tanishq joined the prestigious Liberal Arts and Science institution Phi Theta Kappa when he was all of eight and also went on to become the Vice-President of Communications for 2013-2014 term. He is also the member of the largest IQ society called ‘Mensa’. 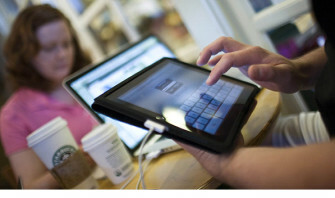 It is reported that he scored a whopping 99.9% in the IQ test conducted by this institution. He also has a sister named Tiara, who is also following her brother’s footsteps and is a way smarter than most people her age. She scored a brilliant 99% in her IQ test which was also conducted at Mensa. 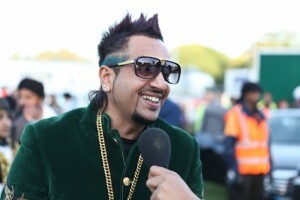 Apart from academics, he is also interested in music and is a prominent member of a choir group. Tanishq has a strong sense of music and has a strong penchant towards this field too. Both the siblings of the Abraham family are good singers and are all out to carve a niche for themselves in other fields too. They also share a strong love for video games and enjoy each other’s company more than anything else in the world. Like they say, siblings always make the best of friends and these two just prove that right. More power to them! No, he is not a typical nerd! Chess, lawn tennis and table tennis are his calling! After reading about this wonder kid, you must be thinking that this boy is a complete nerd who studies for most part of his day. However, you are far from the truth! He, like any other kid his age, loves to play chess, table tennis and lawn tennis. Tanishq is a pro at time management and after doing all this if time permits, he also freaks out while watching his much loved sitcoms. If you ask him about his favorite food, you are going to hear a big loud PIZZA! At the age of 10, he was a high school graduate. When this wonder kid passed out of high school with flying colors he was all of just 10. 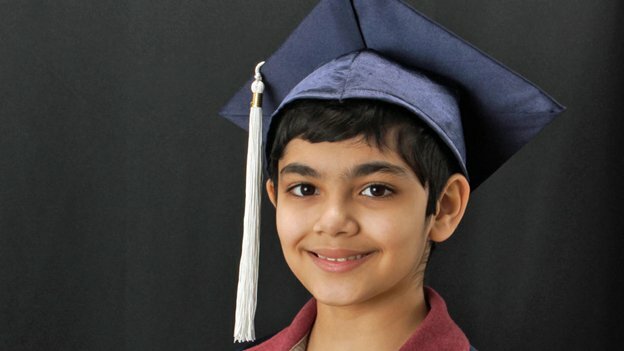 This 5th grader gave a graduation speech that was impeccably flawless and out of this world. The command he had over his language and the way he held himself during the entire speech is something most of us would strive to do even after being triple his age. It is no surprise that at such a tender age this boy is the center of attraction and has the media swooning all over him. Here is a small clip of his graduation speech that was titled, ‘My Journey’. At the age of nine, he became the youngest person to present a poster at one of NASA’s conferences. 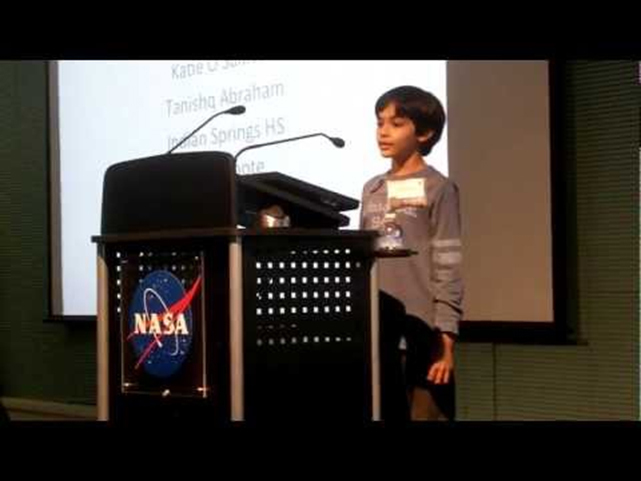 In July 2012, when he was nine-year-old, Tanishq presented a poster at one of NASA’s conferences and nailed it. In the process, he became the youngest person to do so. The exposure this genius kid has at such a small age sure would have instilled a lot of confidence in this budding star. He also managed to woo the audience after giving a mind-blowing speech at TEDx. Tanishq Abraham is climbing the ladder of success at an exponential pace and becoming TEDx speaker is a step in that direction. He gave a fantastic speech at TEDx wowed the audience with hos oratory. This guy sure knows a lot about stage presence and confidence. Way to go,Atta boy! Here is the link to the amazing speech that he gave at TEDx. 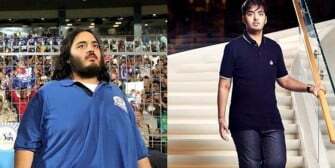 If the “Way to live life” or “I live like a boss” attitude could be presented in human life, Tanishq Abraham would be its most spectacular replication. We love this boy and the work he is doing. More power to him!.